These islands were fought over between Portugal, Holland and England as each sought to try and impose their control over the lucrative spice trade. The Portugese initially discovered that this was a useful entrepot but they were quickly disrupted by the Dutch. Similarly, when the English tried to build a factory at Wai, the Dutch destroyed it as soon as the support ships left it in 1608. This was all part of the Dutch attempting to stamp their authority in the region in an attempt to build up a monopoly of all the important spice trade. Indeed the Dutch would offer protection to any local chiefs who would deal exclusively with them and would mercilessly raid those who would not. This was further demonstrated in Run when the English attempted to set up a colony there in 1616. The Dutch moved from threats to open hostilities. Seven English ships were captured and the Company's chief commander, John Jourdain, was killed on the deck of his ship off Pattani by a Dutch sharpshooter during truce negotiations in July 1619. The Dutch continued to beseige Run. The timing was terrible for the English who finally fell to the Dutch before learning that the Dutch and English East India Companies had signed a truce all the way back in Europe in 1620. It took a long time for any messages to get to and from Europe! Part of the deal was that the English and Dutch would work out of Batavia together. This meant that the Bantam Islands colony could not be rebuilt. Meanwhile, despite the best intentions of the investors back in Europe, the English and Dutch traders found it difficult to work together as the events in Amboina would show. This was when the Dutch Governor Herman van Speult tortured and executed The English East India Representative of Amboina, nine other Company men and nine Japanese samurai mercenaries! He had accused them of plotting to overthrow the Dutch fort there. Whether they were guilty or innocent, their treatment and penalty was enough to cause outrage back in Europe and soured Anglo-Dutch relations for generations. Besides, it was enough excuse for the East India Company to move forcefully back to their fort at Bantam in 1628. 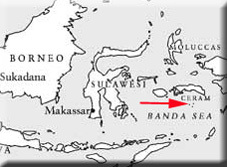 It also sounded the death knell for the English in the Banda Islands as they needed to concentrate their forces around Bantam. There was one more Seventeenth Century attempt to reassert English control in the region when Oliver Cromwell requested the restoration of the colony of Run in order to ' make satisfactin for the massacre of Amboina'. Unfortunately, the colony was inadequately supported and was soon a victim of one of the frequent wars between the English and the Dutch. In 1664 it was taken by the Dutch by force which was confirmed in 1667 at the Treaty of Breda when the English were forced to sign over any residual rights to the Dutch. 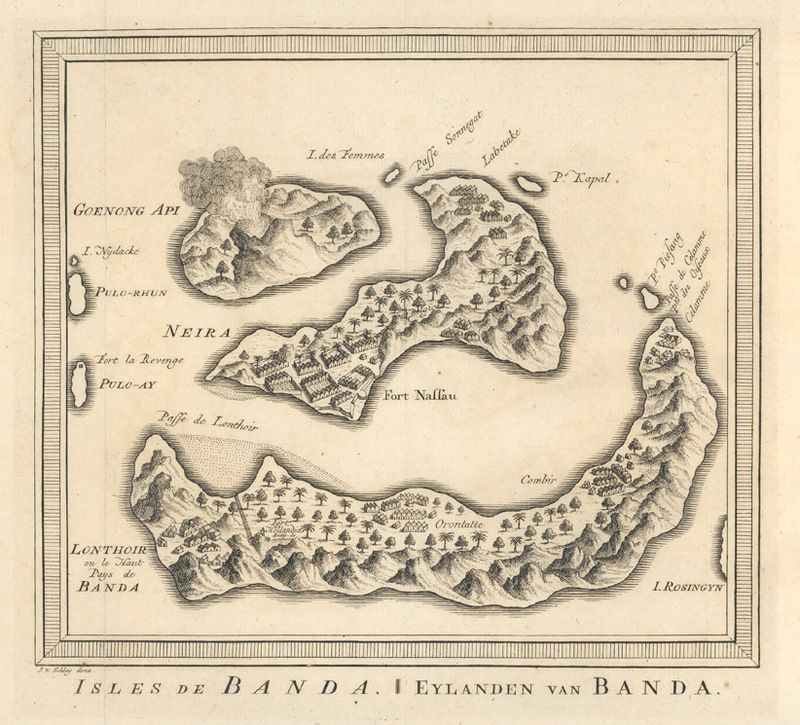 Having said all that, British involvement in the Banda Islands was not completely finished. During the Napoleonic Wars, the Royal Navy was happy to take control of the colonial possessions of any European countries conquered or forced into submission by Napoleon. Hence the British took control of the islands from 1796 to 1800 and then again from 1810 and finally handing them back in 1817.